Weava: best tool for online research (and offline pdfs)? I just discovered this tool called Weava that helps you annotate websites and pdfs and collect the snippets that you highlighted on various pages. I have hardly tried it yet but thought I’d briefly mention it here because what I have seen so far looks really exciting. It’s pretty much what I’ve been looking for since years. As you know, it is easy to discover ever new things or snippets of information on the web (including on the websites of academic journals where you went for one article but end up finding three others). What happens is that I end up having about 356 open tabs in my browser because I don’t want to loose whatever I just found but I don’t have time to look at it more closely now. Yes, that’s what bookmarks are for. But bookmarks only save the link to the whole page. With Weava, you save the snippet of information that is relevant on that page. I’ll stop here because the list could be continued almost indefinitely. So what do you do when there is such a large number of similar services to compare? I don’t have time to look at them all (but see here for a previous little review I did). So in those situations I try to find open source or at least non-profit projects that seem to be active and promising. And in this case, these would be Zotero with Zotfile and hypothes.is. If you have some experience with any of these, please share it, even if it’s only a brief “why I like it” or “why I don’t like it”. I have been tracking my time for almost 9 years now and I have changed systems several times. 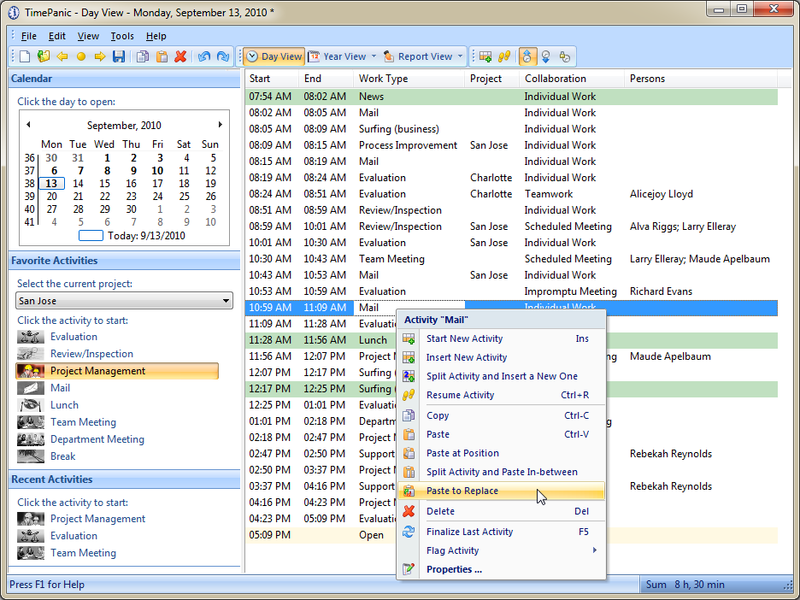 I have also used various task management (or project management) tools in the past years and since about a year or so I have managed to integrate the two. In this post, I wan to share my experience and perhaps make your choice of tools a bit easier. Scenario 1: If comprehensive time tracking is not so important for you and you are mainly looking for an easy way to keep track of your task, KanbanFlow is for you. The free version is perfectly sufficient for scholars but when I used it I actually signed up for the paid plan (5 USD per month) because I liked the swimlane feature. Scenario 2: If you want to track your time throughout your workday, get a visual idea of how you spent your day (or week) and integrate that with your task management tool, then your best solution is using Asana for your task management in combination with TimeCamp for time tracking. Asana is free for up to 15 people, so you can even use it to coordinate work in a team but you’ll need to pay 6 USD per month for TimeCamp if you want to integrate it with Asana. Scenario 3: If you are just looking for a time tracking tool and keep your task management entirely independent from that, I suggest you go for Yast. As an academic (student/teacher) the developer will – upon request – give you a free premium account (which normally costs 6 9 USD per month) but you may not even need that if the free account works fine for you. So much for the quick summary and recommendations. Now comes the whole story. and which shows allows you to produce detailed reports about how much time you spent on which task or project or how you spent your day or week or whatever. You can also define a day as a holiday or sich-leave or vacation etc so that you don’t end up wondering why you worked so little in August 2009 or so. (This feature is actually something I miss on all other time tracking tools I have used and tried so far!) Timepanic’s price is not cheap at 39 EUR but I have never regretted spending that money, even on my tight PhD student budget at the time. The developer was very responsive when I had questions or suggestions and the software was very user-friendly. So for anyone wondering whether time tracking is really worth the effort when you can’t use it to bill anyone, consider this self-disciplining and consciousness raising effect. Indeed, I rarely actually run any big analysis on my time-tracking data (although I do intend to do a little longitudinal study over the years one day. When I have time 😉 I just look at the day and the week and 80 percent of the time I’m only interested in the total time worked. Not even the project, let alone the task break down. But I do look, for example, at how much time I spend to peer review a paper – 8 hours! And I can’t seem to be able to do it much faster 😦 – or on publishing a paper (170 hours), but checking these things remains the exception. It’s just too frustrating to see how much time stuff actually takes! Another reason to track your time as a scholar is to get rid of that bad conscience of not working enough. Or you might even be able to use your figures in negotiations with colleagues about how much time should be allowed for what kind of task. This may not be relevant in many parts of the world, but at Swedish Universities, your employer actually keeps track of your workload (and hence how many more tasks you should take on in a certain time period) and they use certain standard rates to estimate your workload. For example, at my department, correcting an exam gives you 20 minutes (sic!) and for giving a 1 hour lecture, you get paid 4 hours etc. When such rates are negotiated, being able to say “I have been tracking my time over the past X years and based on that this kind of committee usually takes X hours or work” might actually have a certain weight. I asked the developer and since it wasn’t on his roadmap at all, I decided to go online, even though I would have preferred to be independent of the internet when it comes to time tracking (yeah, I know. But, hey, this was in 2011/12 when people still had a life outside the internet!). All tools offer that, but the question is whether and how much you have to pay for it. Sometimes the free plan is limited to one or two projects (like Harvest or Freckle) or don’t allow sub-projects/ tasks (like Toggle). Many online tools (including KanbanFlow or Freckle) allow you to aggregate the time you have spent on a specific task, but they will not remember when you spent that time. Which implies: there is no time-line like the one shown above. At best, you get pie charts of how much of your time went to which project etc. after all, I’m gonna do that multiple times a day and ideally it should take zero seconds to so it. With it’s shortcuts-feature, TimePanic is probably still best at that. Because it is running on your computer, you can use global shortcuts to control it even when it is running in the background. With web-based applications, you have to at least bring your browser to the foreground and click some button. But the point with this criterion is basically that there should be a list of recently used or favourite tasks that I can start by clicking on them and starting one will automatically end the previous one. I think what I meant by that was that I would like to be able to see, say, over the course of a year, which projects I was mainly working on each week or so. I don’t think I found this in any tool I looked at. This may sound strange, but I have seen tools where you just start a timer and only when you stop it will you be asked to say what you actually did during the tracked time. I don’t like that, not only because it defeats the disciplining effect mentioned earlier, but also because when I move on to the next task, I don’t want to thinking and writing about what I did but about what I’m about to do. I you’re tracking online, an internet or server outage just 30 minutes will interrupt your workflow and create extra work to fill on the gaps when the connection is back. Unfortunately, Yast had quite a few server outages and does not have an option for offline use. Since I won’t make more money because I track my time, I don’t really want to pay a lot for this, perhaps I can even get it for free? Now, lets leave time-tracking aside for a moment and look at task-management. Until a couple of years ago, I was not using a particular task management system or tool but some combination of Outlook tasks, Outlook Calendar and some kind of lists (even on paper, yes!) But then I learned about the kanban method which apparently originated from lean manufacturing in the automobile industry, was then adopted in software development less than a decade ago. Although the original idea was to coordinate tasks and workflows in teams by visualizing them on a whiteboard, the Kanban was soon adopted to the personal level: the personal kanban. And while you can do this with paper notes on a pinboard, the digital version obviously bears a lot more potential. The fact that KanbanFlow is the only Kanban tool with an integrated Pomodoro timer is already a fantastic advantage over other tools (find out more about the pomodoro method here). In addition, it allows you to track how much time you spent on each task, simply by clicking a button on the task-card (which you obviously are looking at anyway, when you are working on that task). I already mentioned the (paid) feature of Swimlanes which I used to separate teaching, administration, and various research projects from each other. So I used KanbanFlow as a task-management tool for quite a while in combination with Yast as a time-tracker and it works fine. But at some point I noticed that I am not really using KanbanFlow for all my tasks. Sometimes I wouldn’t open it for days because I knew exactly what I had to do during those days anyway. But that also meant that I wouldn’t rely on it as my main task list, as the place to write that important thing that must not be forgotten, because I could not be sure that I would look at it when that thing needed looking at. At first, I considered using the then new time-tracking feature in KanbanFlow instead of Yast so that I would open KanbanFlow first thing in the morning in order to start tracking my time. In order to do that, I would need to put all my tasks into KanbanFlow, and that’s where the problem started. The hierarchy of projects, sub-projects, tasks and sub-tasks that I had built in TimePanic and Yast over the years was quite complex and KanbanFlow wasn’t built to accommodate that kind of complexity in one Kanban board. The idea in KanbanFlow is to have one board per project. Technically, this is not a problem because you can easily create as many boards as you want. But I did not want to switch between boards, for example, when I finished preparing a lecture (in the “teaching” project) and start to prepare the interviews for a research project. And imagine the hassle when I student (teaching project!) comes in while I’m working on those interviews). Besides, Kanbanflow’s time tracking is still rudimentary and since the developer said that this isn’t going to change in the near future, I decided to look for another solution. I still like Kanbanflow very much and may well change back to it once it’s time-tracking is a bit more sophisticated. So if time tracking is not a priority for you – perhaps you only want to know the time you spent on certain tasks but not on others? – then I suggest you should give KanbanFlow a try. For me, abandoning KanbanFlow unfortunately meant that I would also leave Yast due to its lack of integration with any other online tools which made it impossible to find a task manager that would link to it. The solution I came up with after some comprehensive testing and which I am still using today is Asana in combination with TimeCamp. I hope to write about this setup in more detail in a separate post (please comment below if you’re interested in reading it), so I will keep it short here. The (very customizable) Asana user-interface with the TimeCamp tracking button. On the left is the task list and on the right are the details of whichever task you select from the list. This means that I don’t even need to open TimeCamp any more except for reporting purposes, i.e. if I want to know how much I worked on that day or whatever. Most of the time, I am only looking at Asana and tasks or projects I create there are automatically transferred to Timecamp and when I move them around in Asana they are also moved around in Timecamp so that my Time-Tracking and my task hierarchy are always in sync. If you want to give it a try, please use this referral link to sign up. And let me know if you want to know more about this setup. It might encourage me to actually sit down and write it. I just realize that with this referral link at the end, this looks like I wrote this whole thing only to get you to sign up for TimeCamp. But believe me, I have long planned to write about this and I only recently discovered that Timecamp have a referral program, so rest assured that my review here has not been biased in any way by the prospect of getting a reward for referrals. In fact, I still have some critical remarks to make about TimeCamp, but they won’t deter me from recommending them and I need to catch some sleep now. In the mean time, feel free to ask questions below, which can guide me when writing my next post. Social scientists are increasingly using video cameras as a tool for data collection as it allows them to go back to certain interesting moments and study them in much greater detail than would be possible based on written notes or memory. So how do you find those important moments in your hours of video footage? Of course it’s possible, to do it from your memory of when in the sequence of events it happened or because you noted down the time. But I found this method somewhat laborious and I wanted to find a way of “synchronizing” my field notes with the video footage. I would have loved to use the solution provided by a new free software called Chronoviz which integrates all kinds of time coded data, including my Livescribe Pen. The problem is, I am on Windows and Chronoviz is only available on Mac. But if you are on a Mac, you may not have to read any further and head directly off to the Chronoviz website and try it out. (And feel free to share your impressions in the comments below!). For the rest of us Windows folks (or for the Mac folks who might want something much more simple than Chronoviz) here is how I just solved this challenge for myself: it’s a simple Excel spreadsheet (three to be precise). Now you can take notes in the blue-white striped table and whenever you enter an event (in the Events column), the time of the event will be logged in the Time column and the Video Timestamp column will show the respective time code on the video (i.e. the time passed since the recording started). As you will notice, the time for an event is logged only after you wrote something into the event-column and hit enter. So if you intend to write a lot about a particular event (and therefore will hit Enter only after the Event is long over), you might want to adjust the logged time manually. But please do this using the column “Manual time” on the right. These Time and Timestamp columns should not be touched at all, they are entirely automated and messing with them will probably mess up your log. Instead of changing the time manually, it might be easier to develop a habit of hitting enter after writing the first few words and then navigating back to complete the entry. Or you could use the “Event” column for a short description and elaborate in the Notes column. In that case you will hit Tab instead of Enter, which will also create a time log. And there is another way to adjust the logged time. You can also set a permanent offset in the Config-tab (another spreadsheet underneath the main one). For example, if you set the offset to 20 seconds, the time logged will be the current time minus 20 seconds. I find this useful because when you eventually use the time code to jump to the corresponding moment in your video, you will not have to manually move back another bit in order to see the moment that actually triggered you to take note of what happened. The rest is pretty self explanatory. You just go on taking your notes (don’t forget to make sure that autosave is enabled while you’re in the field. Otherwise you risk losing a day’s work. Once you have logged your events, the next step is to import them into whichever CAQDAS package (Computer Assisted Qualitative Data Analysis Software package) you are using to analyze your videos. I use Transana, so that’s what I will describe and that’s what the Export format of the Eventlogger is designed for at the moment. But it should be easy (if not unnecessary) to adapt it to another software like NVivo, MaxQDA, or Atlas.ti. Select the area of the table that contains your data as shown in the screenshot below, copy it, and paste it into a new Transcript window in Transana (or any Text document that you can later import as a transcript). If you are using a text editor like Word which understands the formatting of what you paste, make sure you “paste as text”, cause you don’t want a table. To export your data, simply copy and paste it your CAQDAS. 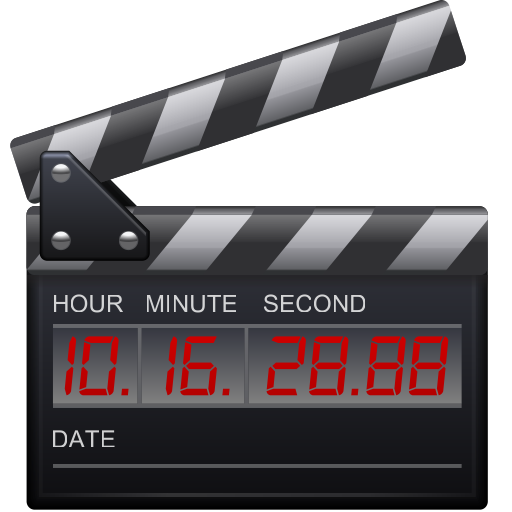 In Transana, you then use the “Text Time Code Conversion” tool which will convert the time stamps from the Eventlogger into Transana time stamps and link them with your video. Now you can easily navigate to each of the special moments you observed in the field, simply by clicking on where you describe that moment in the transcript. Surely, the export function could be more luxurious and I have fiddled a bit with automatically importing the data into a Word document (via a Mail merge directory), but so far this solution is very context dependent and therefore not fit for sharing. And the advantage of the copy&paste solution is that not much can go wrong. So go ahead and give it a try. Let me know if it works for you. You can download Eventlogger_v0.9 here. The original Eventlogger file is an .xlsm file (excel file with macro) but for some reason WordPress won’t allow me to upload xlsm files, so I change the ending to .xls. If you open the file as it is, Excel will give you a warning message that the file content does not match the file type. If you just accept that an allow Excel to open it, will work fine. But you can avoid this by just renaming it to .xlsm before opening it. When you open the Excel file for the first time, it will warn you that it contains a Macro and it will block this macro from being executed until you give it the permission. You don’t have to activate the Macro, but then you will have to manually change your Excel settings to “Enable iterative calculation” by going to Options => Formulas => Enable iterative calculations (see here with pictures). The Macro does this for you automatically. Nothing else. Without this setting, the whole thing won’t work. I liked Crocodoc personal, in fact, I found it a quite fascinating tool as it mad it very easy to have several people comment on and discuss any pdf document. But apart from suggesting it to students as a tool for their group assignments, I didn’t really use it a lot. Also because already more than I year ago, it somehow looked like a neglected side product that may be shut down any time. And now my suspicion was confirmed in an email from the Crocodoc founders, announcing that Crocodoc personal will be shut down on 1 November 2015. So the only serious contenders for me were a.nnotate and crocodoc at the time, with my final preference clearly being Crocodoc. 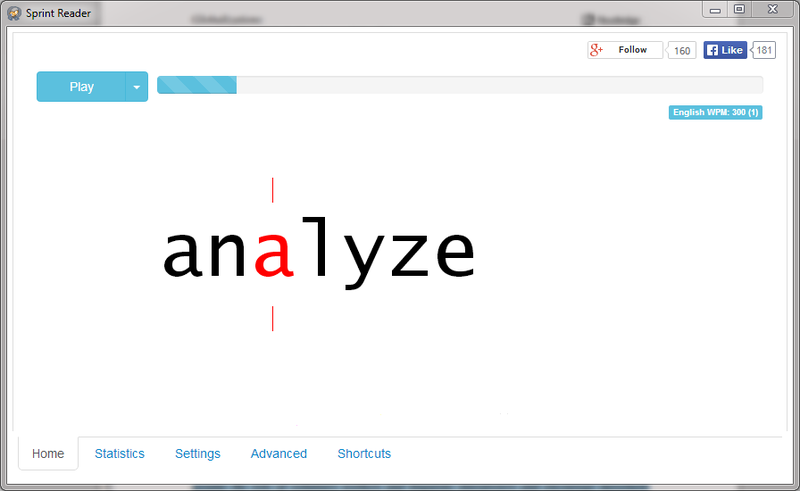 Annotate has now launched a more attractive service called Annotate.co. It is certainly worth looking at, but two things turned me off right away: first, the free version only allows two users (and every commentator is a user) and the paid version is catered more towards business/ work teams and would be too expensive for whole classes of students, let alone schools. Apart from Annotate, there are Notable PDF, iAnnotate, and Notable. I’m trying not to spend too much time comparing stuff, when it’s not necessary. Looking at the four of these pretty quickly let me settle for Notable PDF for the time being in order to try it out. Notable is good if you want to share among a virtually unlimited number of people and are prepared to pay US $19 for that. It might even be possible to use one such paid account for several classes/courses, but I didn’t check how exactly this would work in practice. There is also a free account with “limited features” but I couldn’t find any information about what features actually are included. Anyway, the reason I am not exploring this further at the moment is that even in the paid plans, you can only leave comments on the documents- That’s it. And that’s not enough for me. I want highlighting and free drawing on the page in addition to Word-style comments. At least. So, what’s wrong with iAnnotate? We’ll it’s pretty easy: it’s only for iOS and Android. Not for desktop PCs, i.e. no web-interface. No need for me to look any further further. But this minus can surely be a big plus if you need something that works well on your tablet or phone. I yet need to check how well Notable PDF works on those mobile devices. As you can see, although there is a better variety to choose from it’s still pretty easy to make a choice. I will explore Notable PDF from now and I’ll let you know whether I ended up integrating it into one of my workflows and how. But since I wont be doing any teaching for a couple of years, I will not be testing it for teaching. Only research. Please leave a comment below if you have tried it for teaching. I am really curious if this could be a tool for teaching students how to read academic texts, basically by reading them together. What I like about Notable PDF is that it can also function as your pdf Viewer (at least on Chrome) so that any pdf you open on the web will be displayed in Notable PDF, which means that you can start annotating it right away. However, I am currently using Adobe Acrobat Pro as a viewer (and editor) so I’ll have to see whether Notable PDF can really compete with this. But if you don’t have Acrobat, chances are that you will like Notable PDF better than the internal pdf viewer. This is somewhat off-topic on this blog, but hey, I’m not gonna start a new blog for this. Here’s the problem that I’m addressing in this post: since a couple of weeks, when CrashPlan 4.3 was released (and apparently updated itself automatically on my machines), I haven’t been able to connect to the CrashPlan installation on my NAS (a ReadyNAS Ultra 2). Whenever I started the CrashPlanDesktop.exe that is supposed to connect to the CrashPlan engine running headless on the NAS it just got stuck on the CrashPlan splash screen and nothing happened. The CrashPlan-engine itself was running fine and was doing its backup jobs as it always did. But I couldn’t access the interface anymore as I have done for years before. If you’re reading this, you probably know what I’m talking about because you have a similar issue. So if you’re still reading on, you may also already have have found some information about how to fix this issue on the Synology NAS, but if you have a ReadyNAS like me, you can’t be sure that following those steps will actually help you. And I thought that it was a pretty complicated procedure, I tried to find a more promising way. This comment by user sarme gave me hope that there is an easy way out: it simply stated that all s/he needed to do was “to copy the token from “‘/var/lib/crashplan/.ui_info’ and put it into ‘C:\ProgramData\CrashPlan\.ui_info'”. This is indeed very easy, but I was unsure whether I should just go ahead and do it, since the files in the ProgramDate\CrashPlan folder were obviously used by the local crashplan installation on my PC too, while I was just trying to fix the one on the NAS. And since there was all kinds of other information out there, especially that you’d need to identify which ports your headless CrashPlan is running on, it still took me a while to solve things. Now it’s fixed (as far as I can see) and that’s why I’m writing this post. So what I needed to do to fix things was indeed to simply copy the content of “/var/lib/crashplan/.ui_info” on your NAS into “C:\ProgramData\CrashPlan\.ui_info” on your PC. It’s just a 41 character string in plain text. Now, the first problem I faced was that I couldn’t find the .ui_info because I didn’t see that it was in “C:\ProgramData…” and not “C:\Program Files\…” (It was late at night). But of course that would never happen to you, so just forget about it. Next thing was: careful as I am, I wanted to rename the existing .ui_info on my PC and create a new one with the token from the NAS, but Windows doesn’t seem to allow me to create a file starting with a dot (for windows, it’s just a file-type without a file name). So I ended up making a copy of the file as a backup and then opening the .ui_info in Notepad++, deleting what was in it and pasting in the token from the .ui_info on the NAS. Next problem: I couldn’t save the file because it was being accessed by another program. 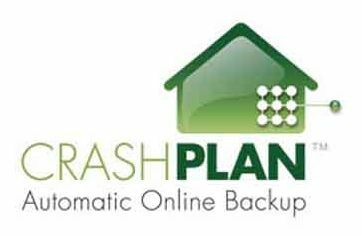 So I had to completely close down CrashPlan on my PC (including the CrashPlantray.exe) and then I was able to save. When I then started the CrashPlanDesktop.exe (the one configured to connect to my NAS, not the one for my PC) it immediately connected as it should and I was relieved. I am still not sure what exactly happened, especially, I’m surprised that CrashPlan apparently managed to update itself on my NAS without me doing anything. And I also don’t understand what this thing about having to take care of the ports now is all about. Why was I able to solve things without doing anything related to ports? In fact, when I looked for the app.log file as described here, I did not even find it. Anyway, I’m not worried as long as things are working again. Just curious. But before I start complaining, I also need to say that I have come to appreciate the scanner to make a few scans here and there: e.g. the when I was ripping some CDs the other day, whose covers I could not find online, I just flipped them under the scanner and it was just a matter of seconds until I had the cover image saved with my ripped audio files. Or some of those official letters that you don’t know whether you will ever need them – probably not – but you don’t want to have them pile up on your shelf: I now just scan them, save them in Evernote or wherever, and get rid of the paper copy. I’m starting to think, maybe I would actually spend those 300 USD for the device (mine is a review copy). But I guess I’d do some comparison work, especially regarding scan quality. In my last update, I already showed illustrated the limits of the device compared to a professional photocopying-machine-scanner, but I’m not sure how the Xcanex would fare when compared to something in the same price range or even with the various smartphone scanning apps out there, which do pretty much the same. But I’ll leave that comparison to others to make (please do tell us in the comments below!). So, here is what I want to complain about (of course hoping that the developers will fix this in the next software update): I just scanned about 100 business cards that I have collected over the years. The good part is that the scanner offers timed automatic capture (i.e. it does one scan ever x seconds) so you just flip those cards under it, one after the other and it captures them, no problem. But once I had them all scanned, I wanted to drag-and-drop some of the scanned cards from the perfecapture software directly into Evernote. Unfortunately, it doesn’t work. OK, let’s do copy-and-paste then. I tried to select a couple of scans and paste them into an Evernote-note. Well, it doesn’t work either. It only works with single scans. And when selecting a single scan, you cannot copy it with your usual “Ctrl+C” shortcut. No. You have to click on the “copy” icon of the perfecapture software. I think that’s quite cumbersome! Next problem: after I copied various cards into Evernote, I wanted to delete them from the perfecapture software. At first it worked (or did it? ), but now I cannot delete any of the scans. I don’t understand why. Maybe I hit some shortcut that protects scans from deletion? To be honest, I haven’t bothered to check the manual on this (laziness, but also experience that manuals rarely help with these things). Anyway, if this is not a bug, I think it should be transparent to the user why deleting is not possible (instead of the “delete” key just having no effect at all). So, how do I get this scanning job finished without losing any card by not saving it? My last resort is to save all scans in a temporary folder and then drag and drop them from there into Evernote. So I selected all scans and hit “save”. Well, unfortunately, perfecapture is now asking me for each and every scan to manually confirm the file name. And no possibility to select “apply to all” or something like that. And it takes about a second between the save-dialogues to come up, so here I sit, spending another two minute just to save those scans. Developer fail! A couple of days ago, I came across Spritz, a company that is popularizing a speed reading technology whose name I’ve forgotten called Rapid Serial Visual Presentation. You get the idea once you look at the Spritz website. I immediately thought that this could be a way for me to read all those texts that I have to read as an academic a lot faster. I am a very slow reader for three reasons: the first is that I look up every other reference and almost all footnotes. Sometimes I get so distracted that I even look up some of the references and start reading those instead (and so on). Another reason is that when I read an interesting paragraph of sentence, that often triggers my own thoughts and associations and I start wandering off, thinking about how I might integrate that idea into my own text or whatever. Finally, the third problem is that I simply read slowly, I guess because I really want to understand and thing through everything, rather than focusing on the essentials. Now, I don’t want to philosphize too much about the pros and cons of speed reading here. Suffice it to say that if the aim is to get through a text reasonably fast at 350 words per minute with at least superficial understanding of the content (or even ridiculously fast at 800 wpm with probably minimal understanding but a rough idea), then this Spritz technique seems adequate to me, and I have indeed read two articles that way yesterday. My point here is to show you how to read pdfs using this technique (not the original Spritz itself, cause their app is not released yet) because the reading apps that are out there at the moment seem to work only with plain text, while most academic articles come as pdf files. It’s not a big deal, actually, but it took me a while to figure it out nevertheless. All you need is the Chrome bowser with the Sprint Reader extension installed. You also need to make sure that you have the native Chrome PDF Viewer enabled. This is the case by default, but if you are using Adobe Reader or Adobe Acrobat, you might have disabled it. In order to enable Chrome PDF Viewer, type “chrome://plugins/” into Chrome’s address bar and scroll down to find Chrome PDF Viewer and, well, enable it. The following will not work with pdf-files that are not displayed using Chrome’s PDF viewer. I recommend setting the “pause after period” higher than the default 450 milliseconds. I’m currently using 900. I also set the “pause after paragraph” to 2000, but that basically has no effect when reading a pdf, because there seem to be no paragraphs in there that the Sprint Reader would recognize as such, unfortunately. You will also encounter problems when there are tables and figures in the text, but hey, otherwise it works okay. Why did I chose Sprint Reader and not any of the many other similar services and extensions such as Spreed – speed read the web, Spread Speed Reading Extension, Spreeder, or OpenSpritz, to name but a few? Well, it’s the best of them all. It’s not perfect (I did encounter a couple of crashes or whatever it was when it simply did not work until I restarted the browser), but it is very customizable and it works with pdfs, which not all of the others do. Add an option to exclude (i.e. hopp over) brackets containing a four digit number. Why? Because that would exclude all references provided using an Author-Year citation style and make reading academic texts a lot easier. Recognize abbreviations such as e.g. and treat the dots in these differently (i.e. don’t apply the “pause after period” rule). One quick way of minimizing this problem could be by checking whether the dot is followed by a capital letter. If not, it’s not a period. Ignore hyphens at line breaks and join the words to one. The few cases where the hyphen should not be eliminated because it is a hyphened word, are negligible. Recognize paragraphs in pdfs (see above). I’m not sure whether this is possible, but I might as well add it to my wish list. Add a keyboard shortcut for quick rewind as, for example Spreed has it (I think it was spreed anyway). In addition, it would be nice to have the replay at a lower speed and then back to normal speed when passing the point where the rewind was initiated. The extension should not be dependent on the text selection in chrome, once it has started. This is feels almost like a bug to me, although it is not, but it is a bit of a pain in the *** that you cannot unselect the text you are currently reading without the reader losing track of it. It would be better if the reader would load the whole text into its own memory, once you press play, making it independent from what happens in the browser.